Find a Discovery trip that explores North Africa. There are 292 tours to choose from, that range in length from 3 days up to 27 days. The most popular month for these tours is October, which has the most tour departures. "What an amazing adventure! Our guide Abdou was friendly, experienced and knowledgeable..."
"Great tour which packed everything in. At times some more chill time but the Galicia..."
"This tour was fantastic. The itinerary was comprehensive. Abdul, our tour guide,..."
"Here is the good and the bad about my trip. First of all, the BAD - train from Cairo..."
"First bus tour I have been on - I will be tempted to use you again for adventurous..."
"Exceeded our expectations. Great tour guides on both sections of the tour. May be..."
"This was my first small group tour so I have no other to compare it too, but seasoned..."
"Loved it. Lots of fun. Great sites." "Loved it! This trip was incredible! Firstly from my tour guide - Sherif such an amazing..."
"Abdul our tour leader was so great, accommodating, and knowledgeable throughout itinerary...."
"It was a fascinating tour that covered a lot of territory in a week. Everything was..."
"The tour has an excellent itinerary that covers most major attractions in Morocco...."
"Mohammed was superb. A very learned Egyptian scholar. 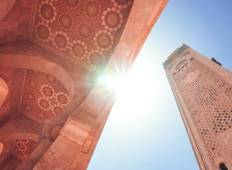 He brought the temples to life...."
"Amazing way to discover Morocco! 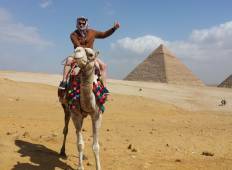 We had a great group and everyone got along really..."
"I had an absolutely fantastic time in Egypt. Ayman was very informative helpful and..."